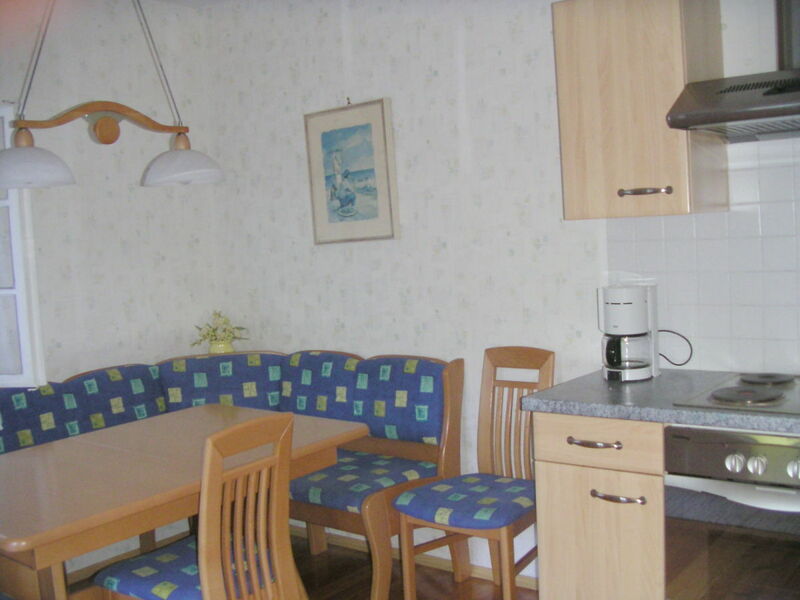 The appartement is part of a house which is situated directly on the lake and has a large bridge and a nice lawn. There are three bedrooms and a sitting room with kitchen. You may do all watersports at the appartement, except you need special sports equipment. These you can rent not far from the appartement. 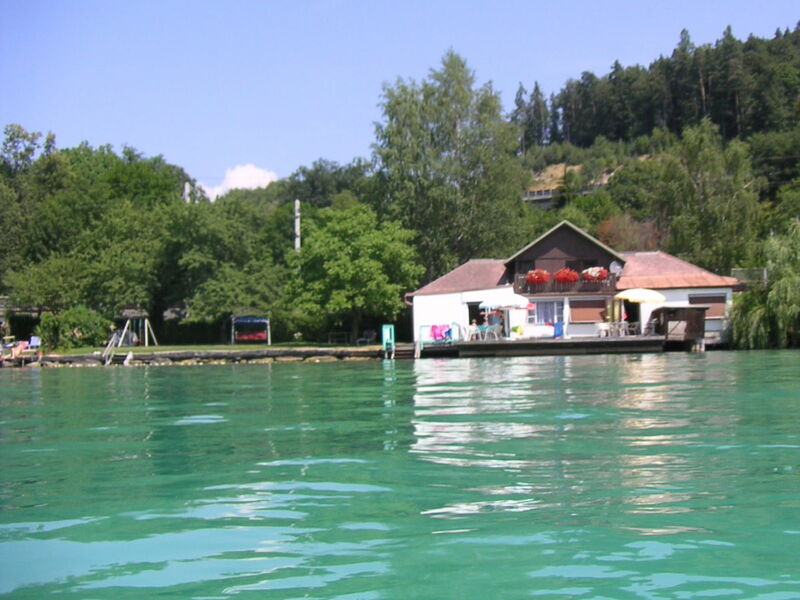 All other possibilities you can do in the surroundings of Klagenfurt and Krumpendorf. 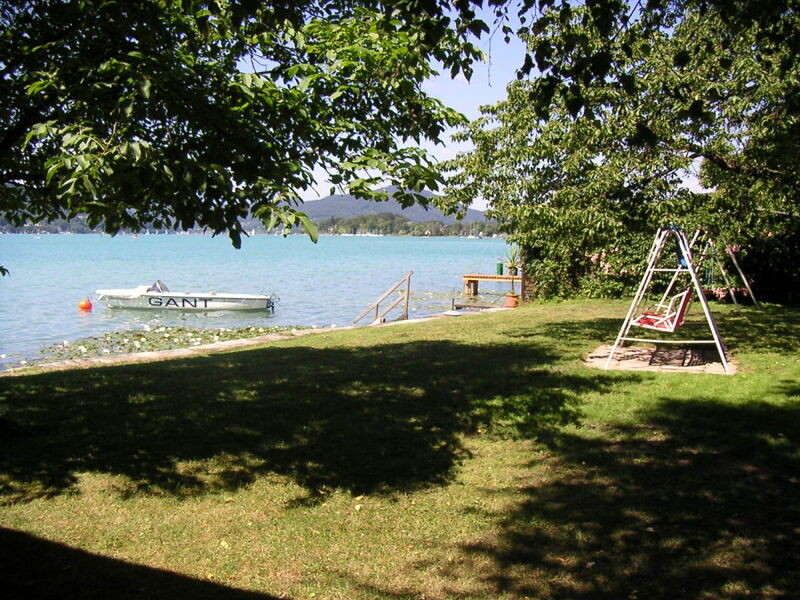 House Moritz is situated between Klagenfurt and Krumpendorf directly at the lake. The sourrounding offers a lot of leisure amenities with many sport facilities. 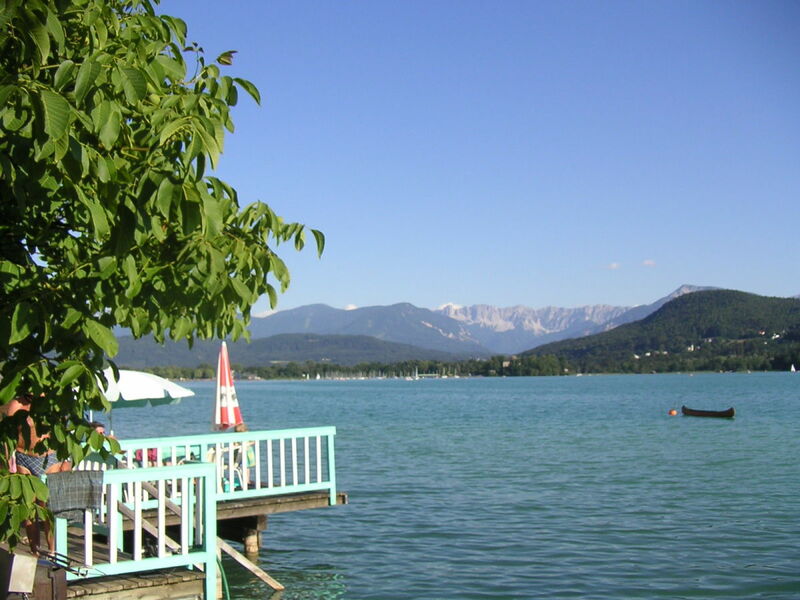 Klagenfurt ist the capital of the country and has a large cultural offer. 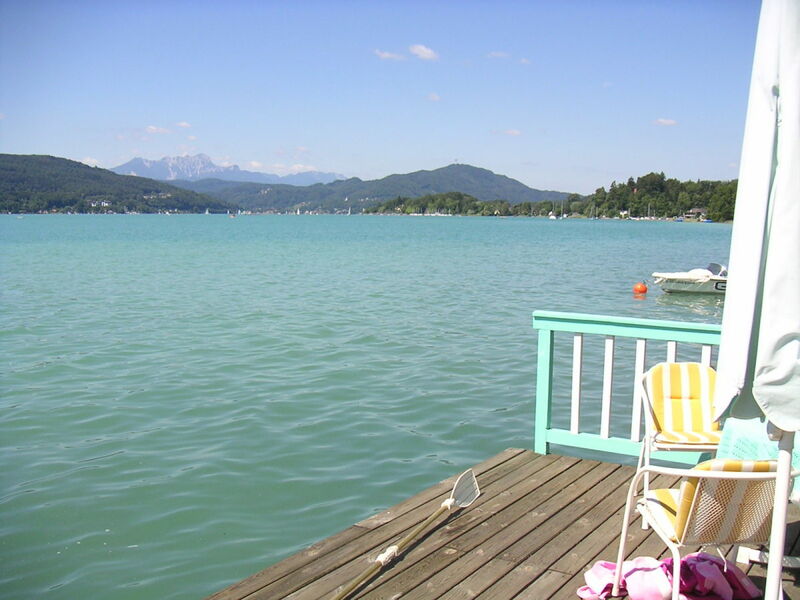 Carinthia is famous for its beautiful mountains and lakes, as well as the untouched nature. Comming from Salzburg/Villach on the motorway A2 you take the exit Klagenfurt/Wörthersee (Minimundus), turn right on the main road way to Krumpendorf. At the old tower you take the next lane left to the lake (Strandweg), pass the tunnel, then turn left and the first house is the House Moritz. Die Preise sind excl. der aktuellen Fremdenverkehrsabgaben und werden separat in Rechnung gestellt. Die Tage in der Wohnung und am See haben wir sehr genossen. Werden immer wieder kommen. Möchte mich auf diesem Wege auch noch bedanken für den wunderschönen Urlaub, den wir bei Ihnen verbringen durften. Wir hoffen auf ein baldiges Wiedersehen. Nochmals: herzlichen Dank! 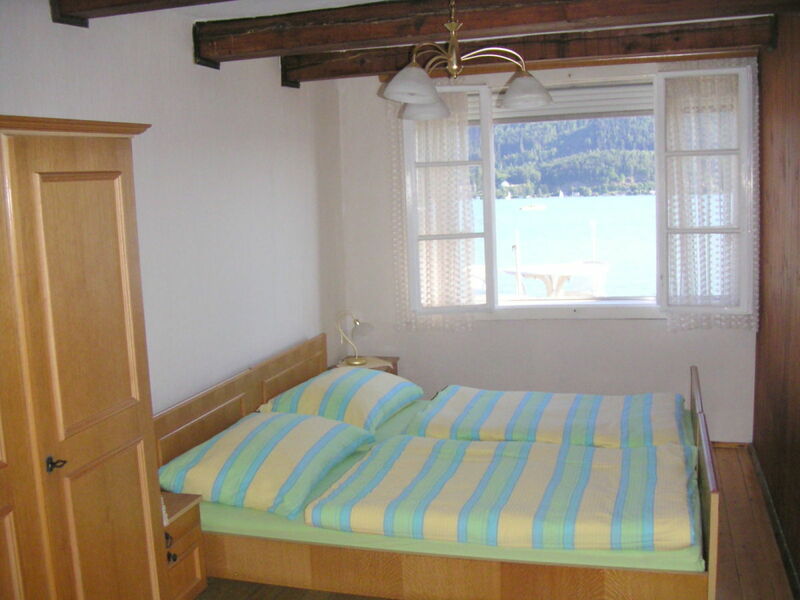 "Holiday apartment Hous Moritz directly on the lake" achieves a review of 4.8 (ranking scale: 1 to 5) due to 3 entered reviews.